The Blue Octopus painting party with Kerry Cole. Photography by Patrick Hagerty. Since opening in 2010, The Blue Octopus moved locations a few times, first to St. Helens in downtown Tacoma and later on Pearl Street in Ruston. In 2014 Cole participated in Spaceworks’ Creative Enterprise program where she received additional entrepreneur training and support. Now Cole is excited to bring the party to the vibrant new neighborhood at Point Ruston. In their two-story space, The Blue Octopus will host weekly painting parties and offer home décor including fine art by Cole. Their first and only Champagne bar in the region will also feature European-style beer and wine as well as weekly live music sessions. The Blue Octopus painting party and toast. Photo by Patrick Hagerty. Art classes at Blue Octopus start at $35 ($25 Sunday Fun Day) and included with the cost is your first glass of wine or beer, a 12×12 or 16×20 canvas, paint brushes to use, a 2-hour interactive painting class, paint and inspirational images. Cole hopes that with this move The Blue Octopus will find a permanent home on Tacoma’s waterfront. The studio is open regular hours Monday to Thursday 10am-10pm, Friday and Saturday at 10am-11pm, and Sundays 11am-7pm. Lettuce is an innovative live art event that showcases various mediums from local Tacoma artists. Their mission is to build a thriving art community through showcasing live art that empowers, inspires, and educates while promoting creative industries. Spaceworks is excited to announce the grand opening of Tacoma’s newest gift store, Stocklist, opening on July 30th. Located on the University of Washington’s campus in the heart of Downtown Tacoma, Stocklist promises to delight Tacoma residents and visitors alike with a unique mix of stationery, jewelry, accessories, home décor, & souvenirs. Sound Movement Arts Center (SMAC), Tacoma’s newest—and only—dance, cheer and modeling studio, is celebrating its grand opening all week and fall registration is now open (see the fall class schedule)! Kiddos and Kin—the music, movement and ‘magination studio in downtown Tacoma—is hosting a grand opening celebration on Sept. 12 from 9 am to 4 pm. 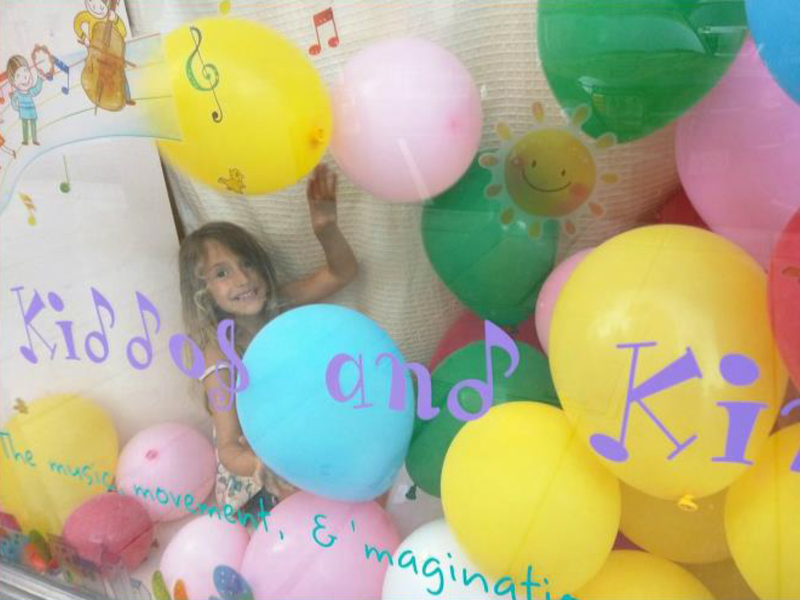 Kiddos and Kin provides music and movement classes for infants, toddlers, preschoolers and big kids ages 0 to 7 years old, and is owned and operated by Creative Enterprise alum Shay Ryan. Spaceworks participants Crimson Wraps & Graphics have been providing vinyl wraps, graphic design, tshirts, artwork, murals, and more in Tacoma since 2011. We are proud to announce they are moving into a new space, right downtown, next to The Swiss Restaurant & Pub in the UWT district! We highly encourage you all to stop by the opening party.